* Kevin Jerome Everson will be taking questions and comments after the screening by skype. 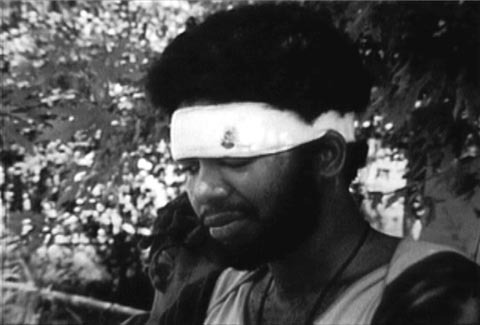 Kevin Jerome Everson’s prolific body of film work engages with and responds to the history and culture of working class Black Americans and people of African decent. His short gestural films confuse simplistic expectations of ethnographic documentary, poetic narrative, or theatrical drama. He stitches archival footage, scripted sequences, verite documents, and abstract aural and visual minutiae into textured portraits of people, places, economics, politics, and ephemera. 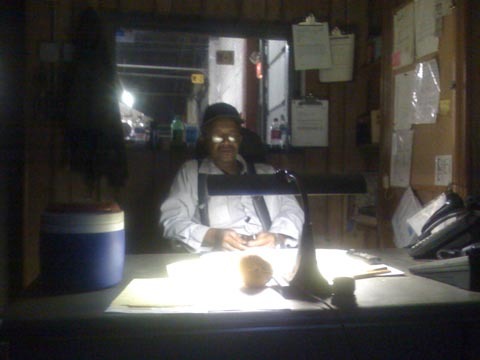 Films such as Company Linefocus on details of physical and speech gestures, the mechanics and materials of labour, and employment architecture to explore the lives of city workers in Mansfield Ohio; and hint at bigger questions about freedom and prosperity for Black Americans. The Reverend E. Randall T. Osborn, First Cousin is one of Everson’s signature archival films that reveal the construction of performance and portrayal in a minimally edited interview with Martin Luther King’s first cousin about police brutality during race riots in Cleveland Ohio. According to… is an example of Everson’s astute and seamless montage of fiction and non-fiction that aims to question authority, authenticity and the representation and preservation of African American history. Kevin Jerome Everson (b.1965) is a filmmaker, originally from Mansfield Ohio, living and working in Charlottesville Virginia. Everson’s three feature films and over 50 short films and videos have been exhibited at the Centre Pompidou in Paris; Redcat in Los Angeles, the Museum of Modern Art in New York; the Whitney Museum of American Art, the Cleveland Museum of Art, the Studio Museum in Harlem; the Armand Hammer Museum in Los Angeles; Whitechapel Gallery in London many other venues worldwide. He is the recipient of a Guggenheim Fellowship, a NEA Fellowship, two NEH Fellowships, two Ohio Arts Council Fellowships, and an American Academy Rome Prize. Company Line. 2009, 30:00min, DV/16mm. The Picnic. 2007, 2:30mins, 16mm. Something Else. 2007, 2:00mins, 16mm. Second and Lee. 2007, 3:00mins, 16mm. The Reverend E. Randall T. Osborn, First Cousin. 2007, 3:00mins, 16mm. 753 McPherson Street. 2009, 2:00mins, 16mm. Broad Day. 2008, 1:00mins, 16mm. Playing Dead. 2008, 1:30mins, 16mm. The Wilbur. 2008, 1:30mins, 16mm. According to… . 2007, 8:30mins, 16mm. A monthly reading + discussion group, Thought on Film aims to promote critical thought around film product and practice through community-based discussion. Open to the public, Thought on Film fosters the close reading of texts confronting issues in contemporary, cutting-edge cinematic practice and philosophy.